We found 479 results matching your criteria. If then games on then that's the perfect reason to host a party. 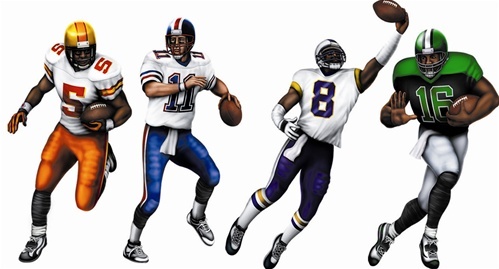 Whether it's football, basketball, soccer, hockey, NASCAR, horse racing, or any other sporting event, we have the the sports decorations and party supplies to fit your needs. We have cutouts, hanging decorations and gear to wear for all sports to show off how big of a fan you are. Spice up your game day with our sports party supplies, invite your friends over and have a blast watching the game. A sports party is a great idea for a party for your friends, teammates, or whenever you need a reason to party. Here at PartyCheap.com we have party supplies and decorations for almost any kind of sports party including football, baseball, basketball, racing, even volleyball and golf. Why not host a hockey themed party for your kids hockey team. Use the browse feature on the left to find a specific sports theme or use the search feature to find a specific sports party item. Let your guests know they have arrived at the right spot with a door cover or sports banners. Once inside, impress them with sports specific decorations such as cutouts, decorating kits and tableware. Your guests will feel they are right in the action with their own clapper and sports beads. We know hosting all of those people takes up a lot of space so consider using an inflatable sports cooler to help hold the extra beverages. Show support for your specific team with color coordinated party supplies such as pom-poms, cutouts, streamers, and balloons. For many of our featured sports we have sports centerpieces. If you are a real dedicated fan you may even want to dress up with a team wig and face paint! To keep your fans busy during halftime we have inflatable toys and props. Throw a birthday party or end of year party with our Volleyball party accessories. Check out our complete selection of sports related tableware and table covers. We also have solid color tableware that not only makes your party or tailgate like it is run by real fans, but cleanup in a breeze. If you have any questions about your next sports party give us a ring and we can help you find the sports party themes you need. GO TEAM!